Rotary sweeping equipment has changed hugely in the past couple of years with fears to damaging liners and power sweeping old steel liners so for this very reason RPS now produce a specialist brush that can be used manually and rotary in a flex liner. But as with all rotary sweeping we do not advocate blindly power sweeping upwards into the unknown! We stipulate that the rods must be pushed up manually to ensure that there is no blockage or liner failure and that any loose material dropping down can be inspected. RPS manufucture the Mini Mole rotary liner brushes, so if you are wary of using a whip head for rotary cleaning a steel liner, then the Mini Mole is a great to rotary sweep a liner with a purposely made brush, that will not damage the liner, will not burn your drill out and allow the soot to fall through the bristles whilst rotary sweeping. They come in 4 sizes and are 1/4" oversized to ensure a thorough clean, particularly on a bend, 5 1/4" - 130mm, 6 1/4" - 160mm, 7 1/4" - 185mm & 8 1/4" - 210mm. RPS have developed the Mini Moles over a period of 4 months with various manufacturers liners by highly experienced sweeps. 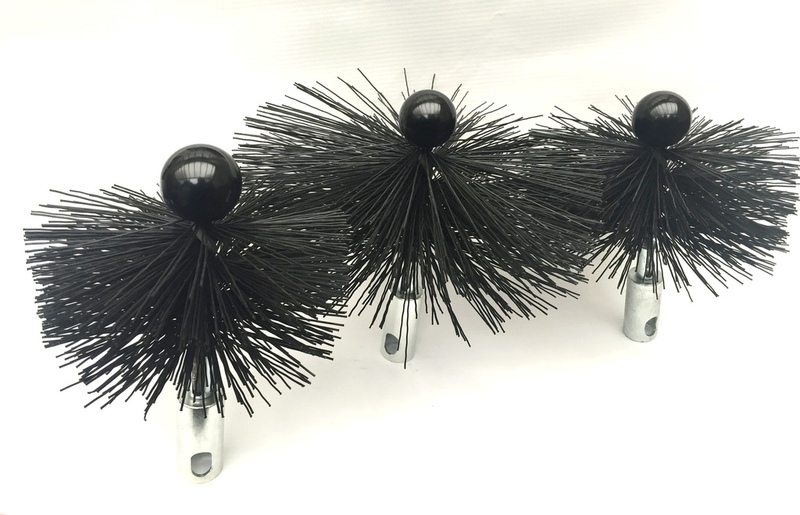 The bristles are the right stiffness and are short in stock for getting round 90 degree bends, plus have a ball end on to protect the liner. 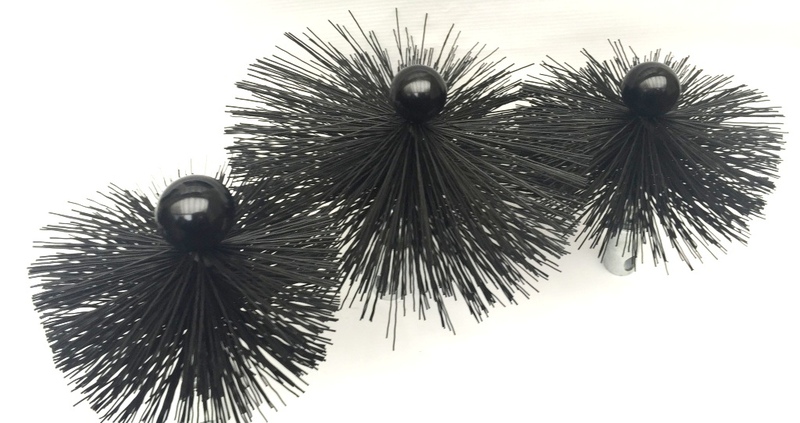 The bristles are perfectly spaced to allow soot to fall through them and therefore no undue pressure build up. 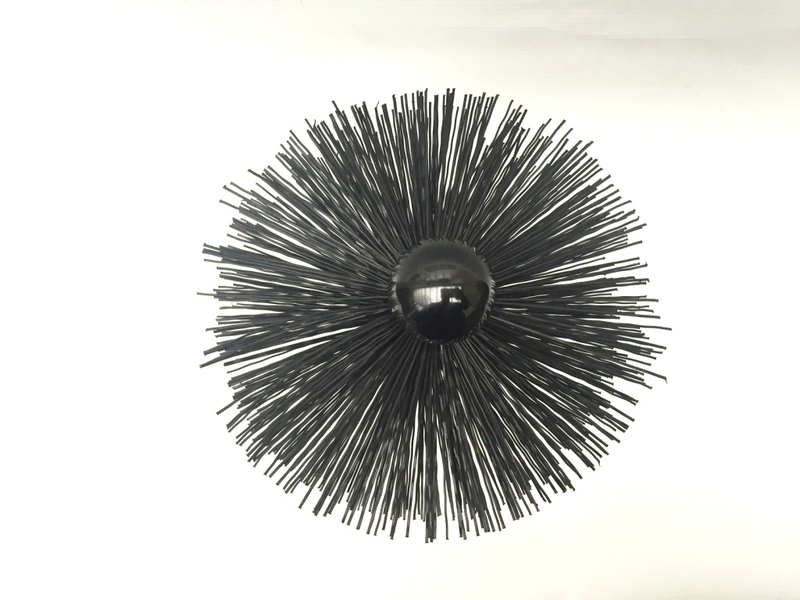 They are not twisted in a screw effect and likely to grab any loose lining material. 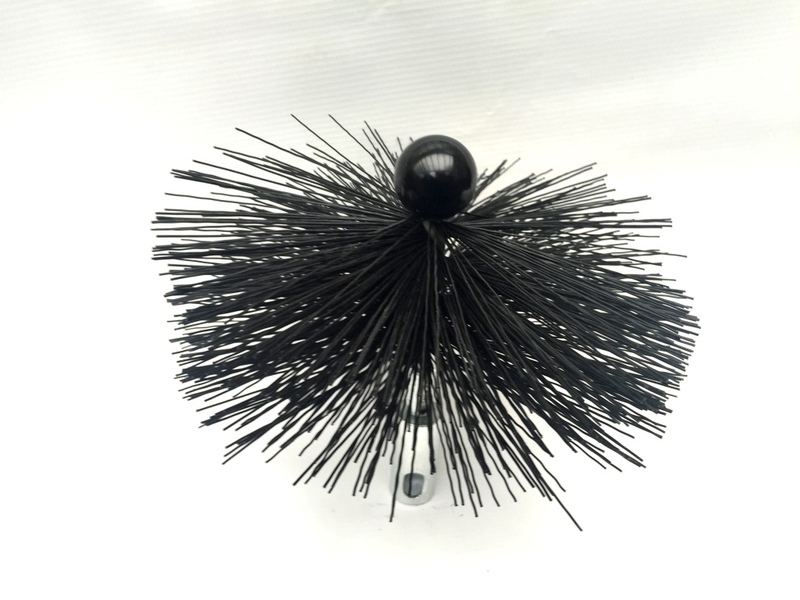 'Mini Mole' Rotary Liner Brush - 6" / 160mm with SnapLok Adaptor pinned on. 'Mini Mole' Rotary Liner Brush - 7" / 185mm with SnapLok Adaptor pinned on. 'Mini Mole' Rotary Liner Brush - 8" / 210mm with SnapLok Adaptor pinned on. 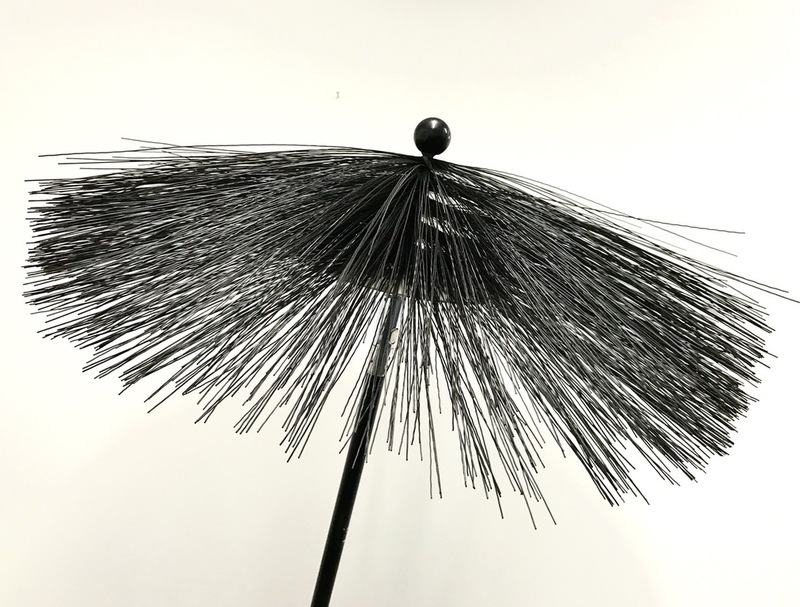 This specialist rotary chimney sweep brush has been designed for rotary power sweeping in traditional brick flues, particularly where the chimney lining is old and the mortar is coming away internally. It has a central inner brush and an outer brush and it is made of a very fine specialist perlon bristle. The inner brush has been designed to stay centralised in the flue, whilst the outer gets into the square corners. It comes with a ball on the top to protect the flue wall and a M10 male thread on the bottom end. It comes together with a roll pinned SnapLok M10 adaptor, so can be spun in both directions. We have had great reports from chimney sweeps that this is now their go to piece of kit when sweeping old brick open chimney flues. There are three sizes of Mole brushes, 14" & 8", 17" & 10" and the 24". RPS have now developed the 'Hard' Mole in 14" & 17", this has been requested by sweeps who are after a stiff rotary mole, who have to tackle phurnacite and harder residue in the chimney flue. 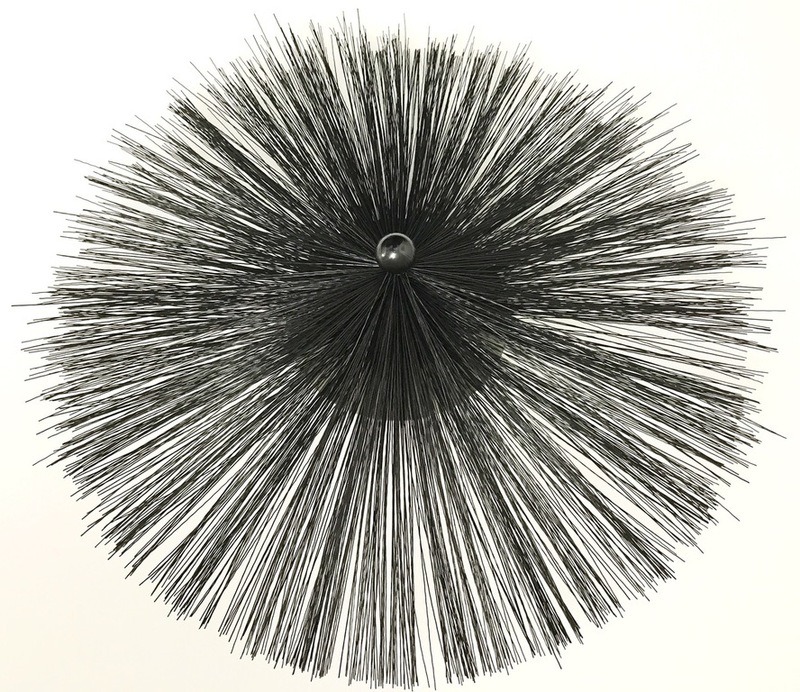 'The Mole' Inglenook Rotary Brush - 24" Soft with SnapLok M10 Adaptor - This Mole Brush has been designed for large, wide inglenooks where the chimney lining is delicate and requires a non-agressive form of rotary sweeping. 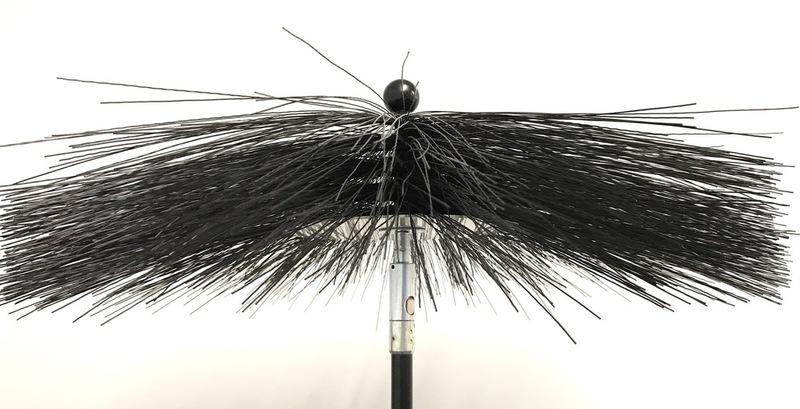 'The Mole' Inglenook Rotary Brush - 24" Hard with SnapLok M10 Adaptor - This Mole Brush has been designed for large, wide inglenooks where the chimney lining is delicate and requires a more agressive form of rotary sweeping than the sift mole.